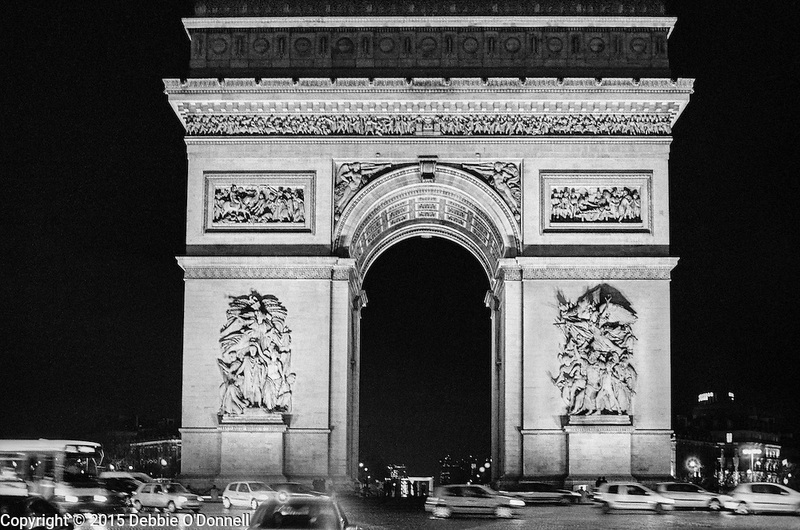 Cars circling the Arc de Triomphe against a dark night sky. The monument stands at the centre of the Place Charles de Gaulle at the western end of the Champs-Élysées. The Arc de Triomphe is one of the most famous monuments in Paris.